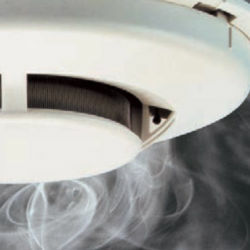 Do you know the problem with non-monitored smoke detectors? They only tell YOU there's a fire. So if you're not home, these detectors are useless. 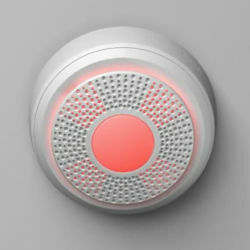 With wireless smoke detectors + fire monitoring, we dispatch firefighters to your home at the first sign of a fire. First, we'll install wireless smoke and heat detectors in the perfect places to monitor and detect fires in your home. Then, if a fire flares up, your detectors will sound an alarm and send a signal to our central monitoring station. Finally, our monitoring station will inform the local firefighters that you need help ASAP. The local firefighters know that we do good work, so they respond quickly to our calls. 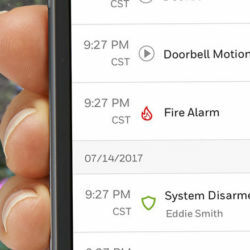 At the first signs of fire, a home automation system can send an alert to your phone, turn on your lights, and unlock your doors. 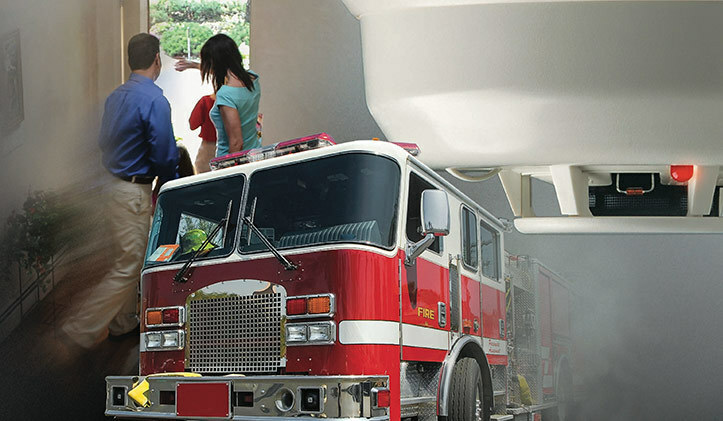 These features help you quickly get out—and get firefighters in—with ease. 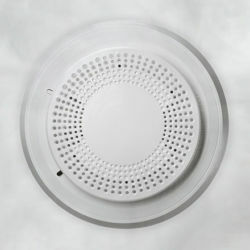 Photoelectric smoke detectors help detect "smoldering fires" (fires with few flames but plenty of smoke). Heat detectors help detect "fast flame" fires and rapid changes in temperature.